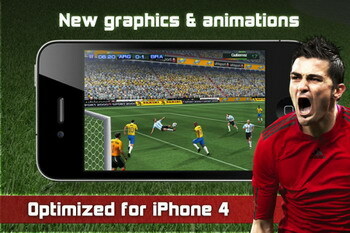 Gameloft has released the Real Soccer 2011 for iPhone on App Store. 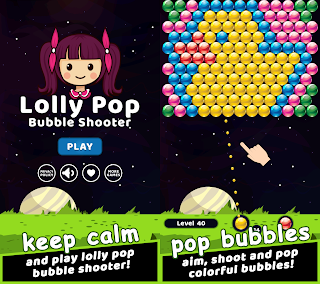 The mobile game which is already available for download is fully optimized for iPhone 4, high-definition graphics that fully utilize the iPhone 4 Retina display. The revamped graphics push the definition of “life-like” and motion capture technology has allowed us to create the most fluid player animations based on movements of pro soccer players. You'll jump into soccer’s most exciting moments with a History mode that lets you alter the course of the game’s most epic matches. The game’s depth has been pushed even further than before by including a whopping 350 teams and 14 leagues. Includes the names of real players thanks to the FIFPro license. Find your favorite players on leagues such as the English, French, Italian, Portuguese, Brazilian and Argentinean leagues, plus national teams like Brazil, Argentina, England, Italy, Portugal and France. The iPhone game lets you manage your team like a coach and lead them on the field throughout the season in Club Master. Step into the spotlight and control the life of a single player in Enter the Legend. Dynamic camera angles, coach reactions, player celebrations and more make every minute of gameplay feel like you’re watching the match live. You can also challenge your friends to epic matches in Wi-Fi and Bluetooth Multiplayer. Real Soccer 2011 for iPhone by Gameloft is available for download $6.99 on the App Store in the Games category. 0 comments on "Real Soccer 2011 iPhone game now available for download"